A multitude of distances are on offer at the world’s largest triathlon, but it’s the Sunday-morning Olympic-distance that truly stands out. Here, like the elites, you exit the Royal Victoria Dock, mount your bike as you leave the ExCel Centre before heading off to Westminster, taking in the capital charms of Big Ben, the Houses of Parliament and the London Eye. 2016 will see the 32nd running of one of the most popular races on the circuit – Ironman Australia. It began life in Forster-Tuncurry before moving to Port Macquarie in 2006. A river swim flows into a 180km bike that shadows the beautiful Pacific Ocean before a 42.2km run in the heart of Port Macquarie. Vision athlete Paul Ambrose won here in 2015, regaining the title he captured in 2012. The Vision-equipped Paul Ambrose won in Australia – is it on your list yet? Hawaii hosts the world’s most revered off-road triathlon. A rough-water non-wetsuit swim in the Pacific sets you up for ‘just’ 20 miles of biking… but in Maui this means 3,300-feet of climbing on dirt trails and singletrack. A technical, hilly run decides who’s the greatest multisport off-roader. A cold start is in store at this most beautiful of triathlons, the ferry San Francisco Belle taking its ‘victims’ to the start adjacent to Alcatraz Island. With strong currents and 12° waters it’s a chilling beginning to a tiring day. A hilly bike will warm the blood, before reaching boiling point come the run. A sandy beach provides the draining platform as you do battle with the dreaded Sand Ladder – a 400-step ascent to the cliff. This is the biggest multisport festival on the planet. The majority of entrants are age-groupers, though its elite Olympic-distance category draws the country’s finest, previous winners including 2008 Olympic champion Emma Snowsill. For once you won’t have to convince the family to ‘support’ you as a myriad of activities will enthrall including the Superkidz Triathlon, the Ocean Swim and the Breakfast Run. The second-oldest Ironman in the world – after Hawaii – and the curtain-raiser to the M-Dot season. It’s one of the most stunning triathlons on the planet, and has become synonymous with Vision triathlete Cameron Brown. Earlier this year, the 42-year-old New Zealander grabbed his 11th Ironman New Zealand title, running down countryman Terenzo Bozzone, a man 12 years his junior. Vision athlete Cameron Brown has won more New Zealand titles that you can count on both hands… are you going to take it on? The iconic Tour de France mountain is just one torturous component in a debilitating race that begins with a chilly swim in the crystal-clear waters of Lac du Verney and reaches the finish line via a 22km hilly run. As well as Alpe d’Huez, the bike also features the Alpe du Grand Serre (1,375m) and the Col d’Ornon (1,371m). Just painful… but so rewarding. Fancy plunging off a boat into Norwegian waters at five in the morning? Of course you do. Once you’ve exited the glacier waters, an undulating 180km bike precedes one of the toughest triathlon runs in the world. The marathon finish culminates with a 17.2km climb to its 1,850m mountain finish – if you get that far. In 2005 and 2007, cold and snow made it unsafe to complete the final 4.7km. Record crowds and super-fast times make this an annual sell-out. Nearly 200,000 spectators line the route with the Solarberg climb resembling Dutch Corner on Alpe d’Huez. Proceedings start with a canal swim, the millpond conditions perfect for a PB. Despite the occasional ascent, the bike is fast. You’re deposited back to the canal for the run, this time its banks and the gravel paths. In 1977, looking to settle a local argument between who was the toughest – swimmers, cyclist or runners – Commander John Collins set about organizing what would become the biggest event in triathlon. A year later, 15 men set off for the first Ironman, won by an American Gordon Haller. Fast-forward to 2016 and over 2,000 professional and recreational athletes will look to write their own chapters in the Ironman record books. Hawaii entry’s by qualification at other global Ironman events, though a ‘lucky’ few gain entry via a Lottery. 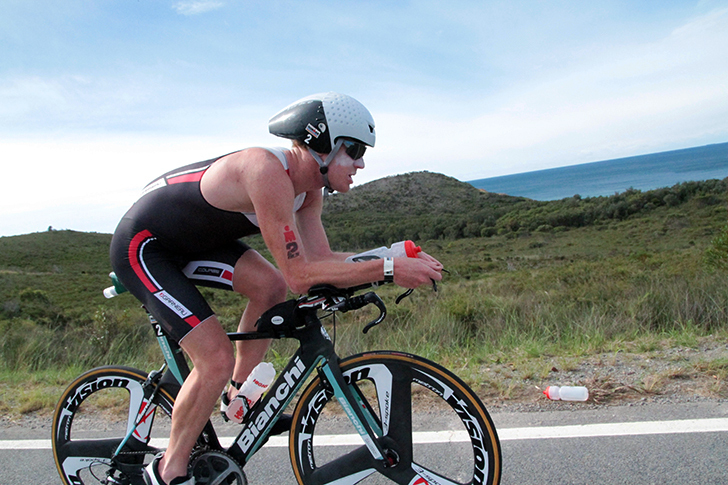 Vision athlete Andrew Starykowicz was first off the bike here in 2013. 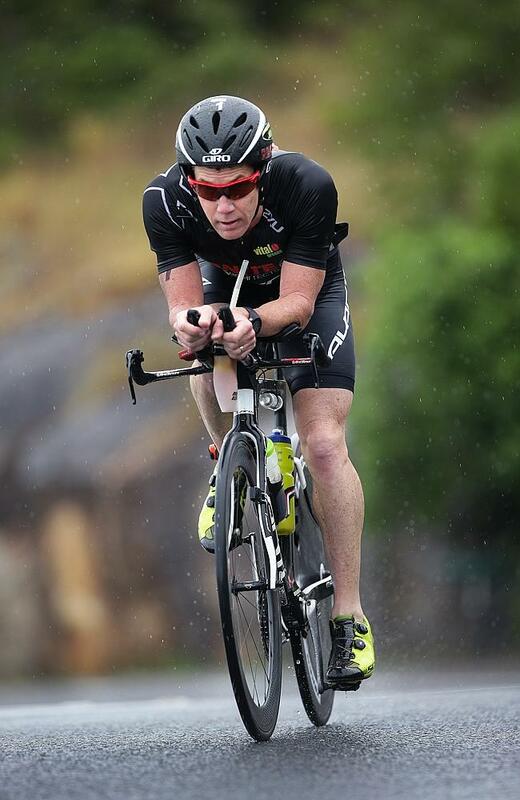 Kona is the holy grail… Vision-using Andrew Starykowicz knows what it takes! Whatever challenge you choose, prepare well and good luck. Check out all Vision advice and equipment – and share your experiences with us via – click on the social media icons below.